Andrew Benson Greene has over 10 years of experience in the non-profit sector, youth and children in wars as well as the issue of child soldiers. He has worked extensively in national and international research on human rights of children used in armed conflict. He is the founder and Director of the International Education and Resource Network (iEARN), and Founder and CEO of B-Gifted Foundation, both of Sierra Leone. B-Gifted Foundation is a non-profit organization that addresses human rights (including women and children’s rights), environmental rights, peace enhancement and sustainable development in Sierra Leone, whilst seeking to alleviate poverty through creative approaches. Andrew is a well-known speaker, participating in a number of prestigious international events such as The World Summit on Information Society, and has traveled extensively, from Beijing to Washington, to share his vision of using information technology amongst children and war-scarred youth. His efforts have profoundly affected the thinking of young people around the world, from Sierra Leone to Cambodia to Afghanistan. The United Nations adopted his project as a model in countries affected by war. Andrew has gathered multiple awards, citations, and bursaries for his Internet-based innovations. For several years, he has overseen and coordinated the successful implementation in Sierra Leone of War Child Canada’s No War Zone, funded by Foreign Affairs Canada. He consults widely on issues of children and youth in conflict and recently produced two video documentaries for the World Bank’s World Development Report 2007 focusing on youth unemployment in Sierra Leone and the ‘Next Generation’. He has consulted to the Global Intelligence Alliance in Washington D.C. on Anti-corruption and good governance in Sierra Leone. 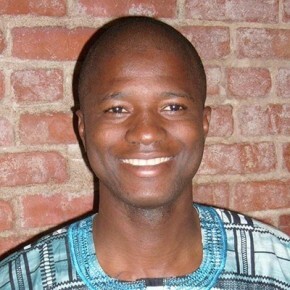 Andrew obtained his BA with concentrations in English, Civil Law, and International Relations from Fourah Bay College of the University of Sierra Leone in 1998.